I've made about 20 knives over the last few years. Just enjoy it I guess.Anyway, these are a couple of the better ones. Re: A couple of mine. Man, those are great looking Dazcon! What's the handle material on the second one? It looks like jade. They BOTH have very clean lines! SWEET looking blades sir! Very nice! Is the green scale a high flat grind? Those are great looking as is your leather work! Thanks guys! 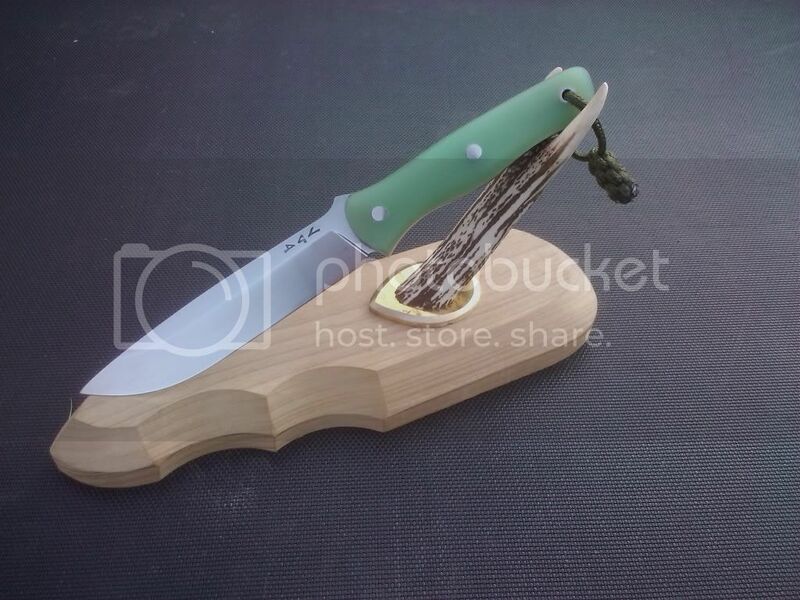 The green handle material is ghost jade G10 and the grind is high flat with secondary bevel. Wow those are a couple of beauties! I'm going to have to have another go at bolsters after seeing the first one. Thanks for the inspiration! Lovely looking blades. I like that jade handle a lot! I think that first one is a knockout! 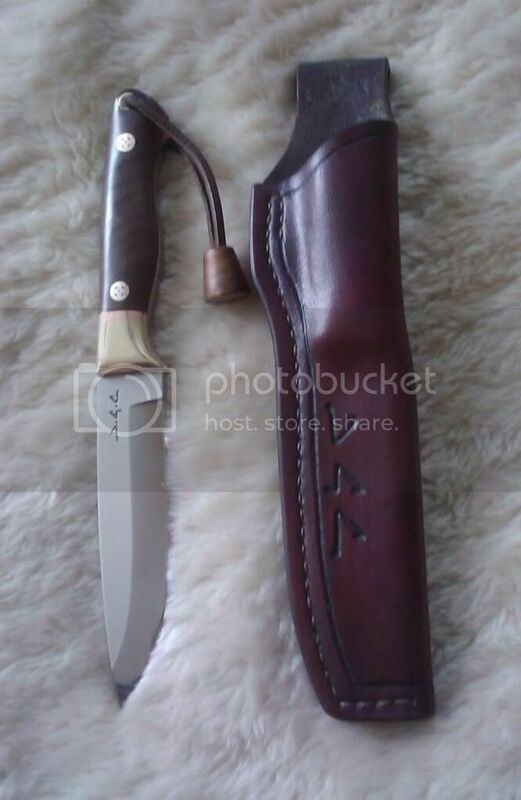 Really nice looking knives! You have some real skill!